Novelist and short story writer Jack Hodgins lives on Vancouver Island where until recently he taught fiction writing at the University of Victoria. Raised in the small rural community of Merville in the Comox Valley, he graduated with a B.Ed from the University of British Columbia, and taught high school in Nanaimo between 1961 and 1981. He was a Visiting Professor at the University of Ottawa between 1981 and 1983. Between 1983 and 2002 he taught in the Department of Writing at the University of Victoria, and was a full professor at the time of his retiring. He occasionally conducts fiction-writing workshops, including an annual workshop in Mallorca, Spain. He and his wife Dianne, a former teacher, live in Cadboro Bay within easy visiting Novelist and short story writer Jack Hodgins lives on Vancouver Island where until recently he taught fiction writing at the University of Victoria. Raised in the small rural community of Merville in the Comox Valley, he graduated with a B.Ed from the University of British Columbia, and taught high school in Nanaimo between 1961 and 1981. He was a Visiting Professor at the University of Ottawa between 1981 and 1983. Between 1983 and 2002 he taught in the Department of Writing at the University of Victoria, and was a full professor at the time of his retiring. He occasionally conducts fiction-writing workshops, including an annual workshop in Mallorca, Spain. He and his wife Dianne, a former teacher, live in Cadboro Bay within easy visiting distance of their three adult children and their grandchildren. Jack Hodgins's fiction has won the Governor General's Award, the President's Medal from the University of Western Ontario, the Gibson's First Novel Award, the Eaton's B.C. Book Award, the Commonwealth Literature Prize (regional), the CNIB Torgi award, the Canada-Australia Prize, the Drummer General's Award, and the Ethel Wilson Fiction Prize, and has twice been long-listed for the IMPAC/Dublin award. He is the 2006 recipient of the Terasen Lifetime Achievement Award "for an outstanding literary career in British Columbia" and the "Lieutenant Governor's Award for Literary Excellence." 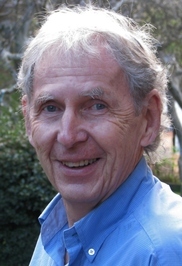 His books include: Spit Delaney's Island (stories), The Invention of the World (novel), The Resurrection of Joseph Bourne (novel), The Barclay Family Theatre (stories), Left Behind in Squabble Bay (children's novel), The Honorary Patron (novel), Innocent Cities (novel), Over Forty in Broken Hill (travel), A Passion for Narrative (a guide to writing fiction), The Macken Charm, (novel), Broken Ground (novel), Distance (novel), and Damage Done by the Storm (stories). Short stories and articles have been published in several magazines in Canada, France, Australia, and the US. Jack Hodgins has given readings or talks at international literary festivals and other events in Australia, Austria, Belgium, Finland, France, Germany, Japan, New Zealand, Norway, Sweden, and the US. Some of the short stories have been televised or adapted for radio and the stage. A few of the stories and novels have been translated into other languages, including Dutch, Hungarian, Japanese, Spanish, Portuguese, German, Russian, Italian, Polish, and Norwegian. In 1985 a film of the story "The Concert Stages of Europe," directed by Giles Walker, was produced by Atlantis Films and the National Film Board of Canada. In 2001 the Victoria Conversatory of Music produced a commissioned opera Eyes on the Mountain by composer Christopher Donason, based upon three of Hodgins's short stories intertwined. A screenplay based upon the title character in Spit Delaney's Island has been optioned by a Vancouver film maker. Is this you? Let us know. If not, help out and invite Jack to Goodreads.